Earth's last colony on the Moon did fine for many years. 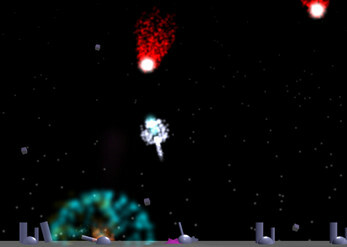 However, this peace was ended when several meteor showers set on a course straight for the colony! Now you must hop into the Final Defense Turret and save the people of the moon. Play through 8 simple yet fun levels. 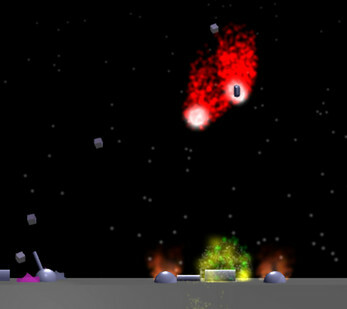 Defend the moon from a zerg rush of meteors that'll keep you on your toes. Enjoy a cool, classy soundtrack while you play throughout the game. Have fun you haven't felt since Space Invaders!